Infinite Final Jeopardy features (almost) every Final Jeopardy clue from the past 30 years. 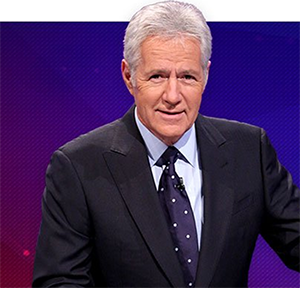 Jeopardy, the long-running NBC game show hosted by Alex Trebek, recently opened up a new online “adult test.” The test gave adults a chance to answer 50 challenging “answers” (Jeopardy solicits responses the clues in the form of a question) in typical show categories, testing their ability to appear on the actual show. The adult test also served as a showcase for Jeopardy’s website, which is filled with tons of awesome stuff for nerdy fans of the quiz show like me. 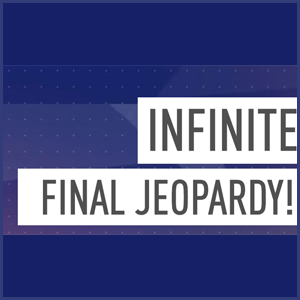 One such find was Infinite Final Jeopardy, a portion of the site which features (almost) every Final Jeopardy clue from the shows 30 year history. Final Jeopardy clues are known to be among the show’s hardest, as they come at the end of the show. Contestants bid the money that they’ve accumulated throughout the show on the final question after hearing the clue, then they all write down their answers. On Infinite Final Jeopardy, there’s not as much time to think about the response. The clues move quickly, cycling through decades-worth of material in every sort of category. 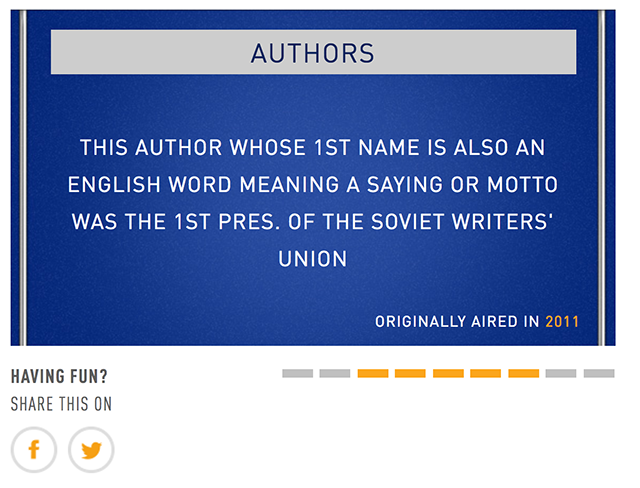 The site displays the year in which the Final Jeopardy clue initially aired, giving a short countdown timer before revealing the correct response. 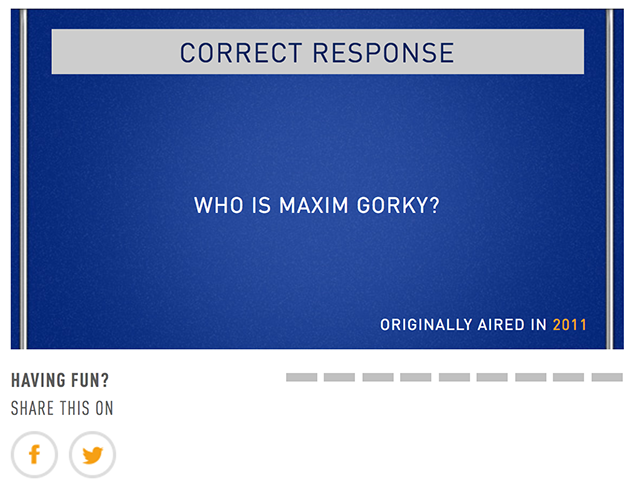 It is, as the Infinite Final Jeopardy site itself declares, quite addicting.